Poll – How Many Years do You Want to Live? Yesterday, the New American Foundation and Arizona State University with help from the IEET’s Sean Hays and with Aubrey de Grey as a main speaker, sponsored a conference on the future of life extension and its global ramifications: economic, social, and political. Will 250 be the new 100 in the foreseeable future? As we discuss on my blog, human life expectancy has made steady gains over the last two centuries, and anti-aging scientists are eager to trigger a radical extension in our life spans. How likely is such a spike? And how desirable is it to live to be a quarter of a millennium? These were the core questions that were addressed at the conference. 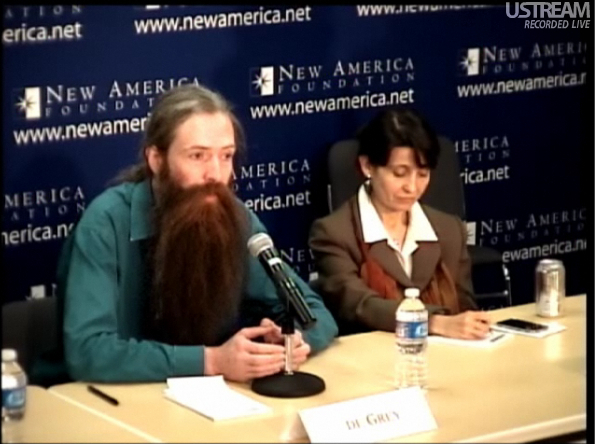 At the conference, Aubrey de Grey (IEET Fellow and Chief Scientist, SENS Foundation) said that “radical life extension is a turn-off to a lot of people, especially people on Capitol Hill, because they imagine it as people getting old and extending the frail and infirmed portion of their lives indefinitely. This is a pretty old understanding of radical life extension.” Aubrey de Grey argued that instead of maximizing the existing life expectancy with drugs and diet, using “regenerative medicine,” periodic repair of the mechanism, is the avenue to achieve real gains in life expectancy. He spoke against attitudes on the demographic consequences of life expectancy since the effects will only accumulate over the next century. According to de Grey, the policy we need to care about is making the case for more research monies for the biology and therapy of aging today, not dealing with consequences of having a society full of centenarians. A group of British researchers have linked an innate hormone found in the human body called ‘DHEAS’ (Dehydroepiandrosterone) with higher life expectancy. 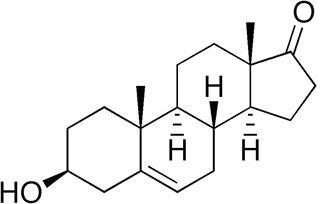 DHEAS is a steroid hormone made by our adrenal glands. This hormone plays a role in improving memory and strengthening the immune system. It also aids in weight loss, helps maintain cardiovascular health and increases HDL levels, thus preventing obesity. The rate of production of the hormone is greatest in childhood and teenage years, before gradually declining through adult life. Sir Michael Marmot and his colleagues from the University College London looked at hormone levels in the blood samples of more than 10,000 men aged over 50 years. The study subjects were being observed since year 2004. The research suggested that DHEAS levels were augmented in those who led an active life or those who have a better lifestyle, which typically comes with being wealthy. “The findings could pave the way for new class of drugs, patches or injections which will help boost the DHEAS level. But, it’s too early to say higher level of DHEAS is a result of being rich,” said lead author, Sir Marmot. “But, factors such as a better diet, greater control over life, less stress, more travel and involvement in the wider world through hobbies, sport or other interests, which all are benefits of wealth — seem to be encouraging the body to create DHEAS,” he said. The study also found that wealthier people had higher levels of another hormone – IGF-I (insulin-like growth factor I). DHEAS along with IGF-I helps regulate the body and control reactions to stress. The English Longitudinal Study of Aging, or ELSA, is a comprehensive study into the economic, social, psychological and health elements of the aging process in Europe and it depicts a detailed picture of the lives of people in England aged 50 and over.